The tree is dripping with hairy caterpillars. I am very cautious about these little critters after a friend had some in her garden, the hairs got into the laundry and she ended up having to get medicine from the doctor to help with rash that resulted from wearing the clothes that the hairs had gotten on to. 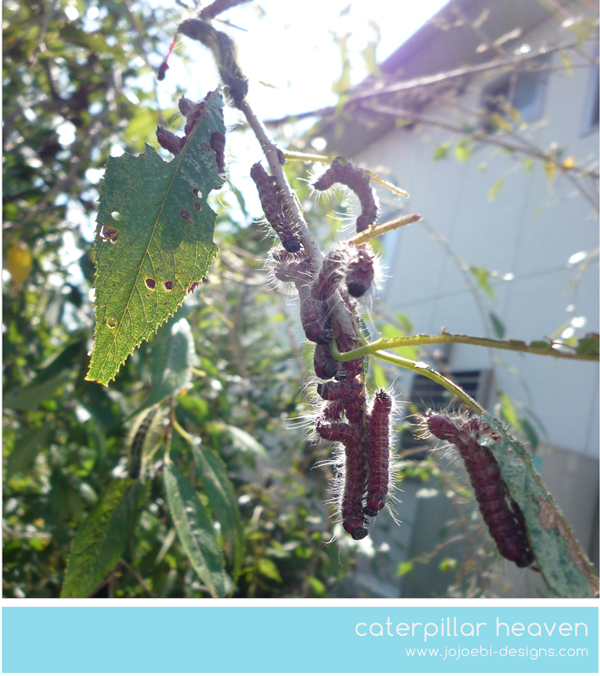 I have never seen so many caterpillars in one place, I am both in awe and revolted at the same time! We decide to catch a couple - using a long stick and a bug box, so we could investigate further. After much research we think that they are モンクロシャチホコ. I have no idea what that is in English but it is a type of moth. Funny how butterflies are considered cuter than moths, we were hoping they were some kind of pretty butterfly, oh well! Our cherry blossom gets attacked by these awful creatures every year too. The leaves are all ruined. I was once stung by one and it was incredibly painful. I simply brushed past it but felt the sting straight away. My whole arm went numb and ached for hours. Steer clear! We sprayed this year actually but it was too late. 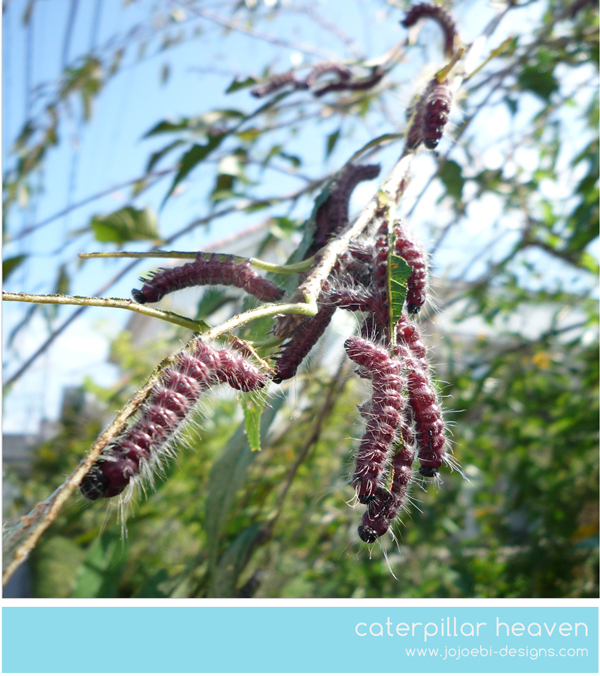 must admit, after living here I have gone off the caterpillars are cute thing! Kemushi - for obvious reasons, number one being they have shitloads of Ke, hair. The cherry blossom tree at Shou's kinder has a huge sheet covering the sandpit underneath it because it is getting sprayed tomorrow. We have one cherry blossom tree in the garden but it doesn't seem to get too hammered. 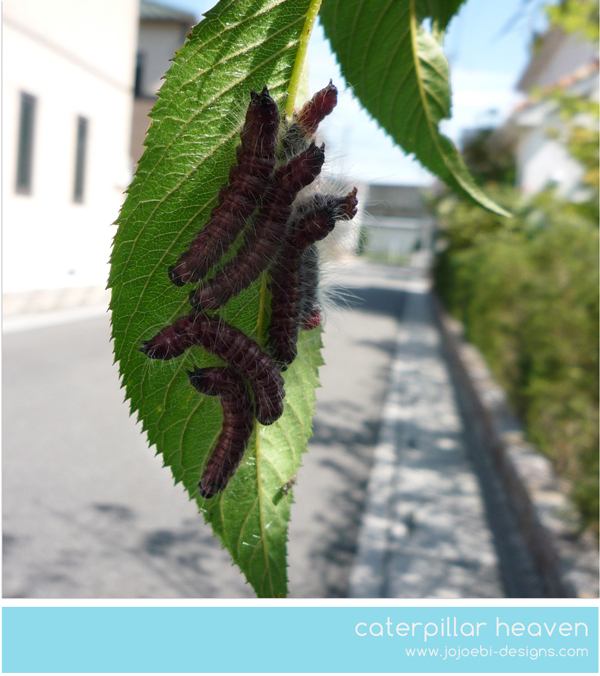 do you know the name of the moth in English?